Exactly what is the CEREC Machine? The CEREC machine is a technological machine that can make a crown for a tooth in a matter of a few minutes. The current treatment takes at least two visits to complete. During the first appointment, the dentist prepares the area for the future crown and the crown is positioned throughout the second appointment. Throughout the time in between check outs the patient needs to wear a short-lived crown that is commonly tarnished and uncomfortable. The CEREC machine permits a crown to be made and placed all in one visit. What are the Benefits of the CEREC Machine? The greatest benefit to both client and dentist is each crown treatment takes less time. The client does not need to come back for a second appointment and the dental professional can see other patients. The CEREC machine makes a crown while the patient waits. The existing method of making a crown enlists the service of an outside lab who makes the crown by hand. The dental practitioner needs to pay the technician to make crown. Making use of the CEREC machine the dental professional does not have to pay the an outside lab to build the crown. 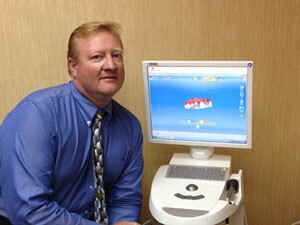 The CEREC machine makes life simple for the clients of St. Croix Valley Dentistry. Customers can just look forward to one appointment for your crown vs. two in the past. Dr. Whisler is investing for the convenience of his patients with the latest dental innovations. If you are looking to have a crown and do not have a great deal of time, then check out Dr. Whisler and her staff at St Croix Valley Dentistry for your next crown. The intraoral camera is a pen shaped device that can take very close up pictures of your teeth and gums. The benefits of the intraoral camera is that it magnifies images, helping Dr. Whisler to spot potential problems like cracked fillings, fractures, and early tooth decay. This technology is making it easier to understand your dental condition and what treatment options are the best for your teeth . Our hope is a early diagnosis, so we can treat these potential problems before they become larger problems. At St Croix Valley Dentistry we offer the most advanced method of computerized x-rays that allow Dr. Brian Whisler to instantly evaluate your teeth for decay and gum problems. This state of the art technology reduces patient radiation exposure by 90 percent vs. the old film technology. Our practice has invested in this technology for your safety as well as our staff. Laser cavity technology is a harmless laser light searching for hidden decay that can help Dr. Whisler detect decay long before other conventional methods. This technology uses a low-intensity laser to locate hidden decay, if the tool detects decay it produces sounds identifying the cavity. This technology has been proven to be very accurate in finding small subsurface cavities that the traditional technique might miss. Small cavities if detected at an early stage allows us to preserve and protect more of your tooth substance before more damage can occur to your teeth.